The only candidate to skip the pro-Israel lobby group AIPAC’s annual conference in Washington, Sanders instead delivered a speech from Utah in which he acknowledged that “today there is a whole lot of suffering among Palestinians” due to the occupation. “For a presidential candidate to break from the mold, like it seems maybe Sanders is doing, and to talk about the fact that the occupation needs to end, is something that’s exciting to Palestinians,” says Manawel Abdel-Al, a member of the general secretariat of the Palestinian General Federation of Trade Unions (PGFTU). 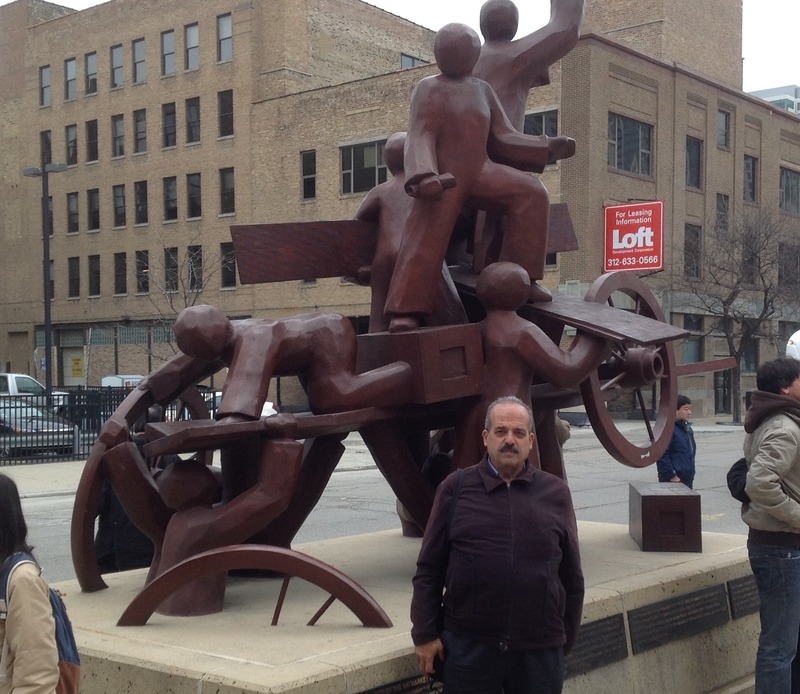 Abdel-Al—who lives in occupied East Jerusalem—is visiting Chicago this week at the invitation of the United Electrical Workers (UE), the U.S. Palestinian Community Network, and Jewish Voice for Peace to enlist the support of the U.S. labor movement in the Palestinian liberation struggle. He addressed standing-room-only audiences of rank-and-file unionists at last weekend’s Labor Notes conference and again on Tuesday night at the local UE Hall. A machine repair technician by trade, Abdel-Al has been a union activist for three decades. He tells In These Times that throughout their history, Palestinian trade unions have always waged a “two-part” battle. “We represent workers in the class struggle for socioeconomic rights, but also in the national, political struggle for freedom and independence,” he says, noting that the Palestinian labor movement has managed to endure despite a century of repression and upheaval under British, Jordanian, and Israeli control. Abdel-Al’s PGFTU represents 14 private sector unions in the West Bank and Gaza. In the West Bank, Abdel-Al says the PGFTU negotiates collective bargaining agreements with employers and successfully convinced the Palestinian Authority (P.A.) to pass a minimum wage law in 2012. The union federation is now calling for the P.A. to implement social welfare policies by next year. Meanwhile, over 25,000 public schoolteachers (not affiliated with PGFTU) staged a one-month strike earlier this year to call for the P.A. to honor a promised pay raise that had been “left on the backburner for three years,” Abdel-Al says. The strike ended last month after President Mahmoud Abbas intervened and promised back pay and a 10 percent wage increase. Regardless of their legal status, Abdel-Al says that all Palestinian workers in Israel, including Palestinian citizens of Israel, face discrimination, arbitrary dismissal, low pay, and a host of other issues on the job. “All we want is freedom from oppression,” he says, asking U.S. unionists to do whatever they can to help their fellow workers in Palestine. Heeding this call, last August, UE became the first national U.S. labor union to endorse Boycott, Divestment, and Sanctions (BDS)—a global, nonviolent movement to protest Israeli human rights violations inspired by the successful efforts of civil society groups to pressure South Africa’s apartheid regime in the 1980s. While the activist network Labor for Palestine has been pushing U.S. unions to get behind BDS for the past decade, serious strides have only been made in the two years since Israel’s 2014 bombardment of Gaza, which killed 1,462 civilians. In December 2014, BDS was endorsed by University of California graduate student workers with UAW Local 2865—a vote that was controversially nullified by the UAW’s International Executive Board earlier this year. Following Local 2865 and UE’s lead, the Connecticut AFL-CIO also passed a resolution in favor of BDS late last year. BDS is gaining traction within the international labor movement as well, with support from unions in South Africa, the UK, Norway, Brazil, and elsewhere. Last April, it was endorsed by Canada’s Confederation of National Trade Unions (CSN), which represents 325,000 public and private sector workers in Quebec. Noting the growing international influence of unions from the global south, including Brazil’s pro-BDS Central Única dos Trabalhadores, Guay predicts the international labor movement will continue to increase its support for Palestine in the years to come. “I think there will be some evolution,” she says. This evolution is already evident in the International Trade Union Confederation—a global organization composed of the world’s major labor federations—which has issued increasingly critical statements of Israel since the 2014 assault on Gaza. I found hard to understand Israel's concerted undemocratic attack on the BDS movement. That attack has resulted in gaining for more attention to the BDS movement, demonstrated Israel's willingness to attack other countries democracies and free speech making Israel an enemy of the people the world over, hugely weakened those foreign politicians Israel over which financial and Israel has publicly attacked Jews in other countries, attempting to deny Jews a voice in their own countries, where ever that is on the world. What Israel is doing in Palestine is bad enough, try to employ similar tactics in other countries and expect a far hasher response. So support BDS because of Israels attack on BDS if for no other reason than that, they crossed a line they should never have crossed and must pay a price for doing so. The systematic attack of citizens expressing their opinions in their countries by foreigner governments can never be accepted, to attack students in school expressing the growing political opinion should never be accepted, the targeting local workers by the control of foreign owned employers should never be accepted. Israel's attack on democracy and free speech in other countries, should never be tolerated and those corrupt politicians who supported should be removed from office. BDS has now gone well beyond the Palestinian cause and is now about protecting democracy all over the world from Israeli prejudice and aggression. Be clear--the racism and anti-intellectualism in this article and in the comments---is expected from americans. Also expected is the uneducated, superficial stupidity---americans are proudly racist and anti-intellectual-- we can see that americans go to extraordinary lengths to be stupid, especially american "leftists". Adorable! 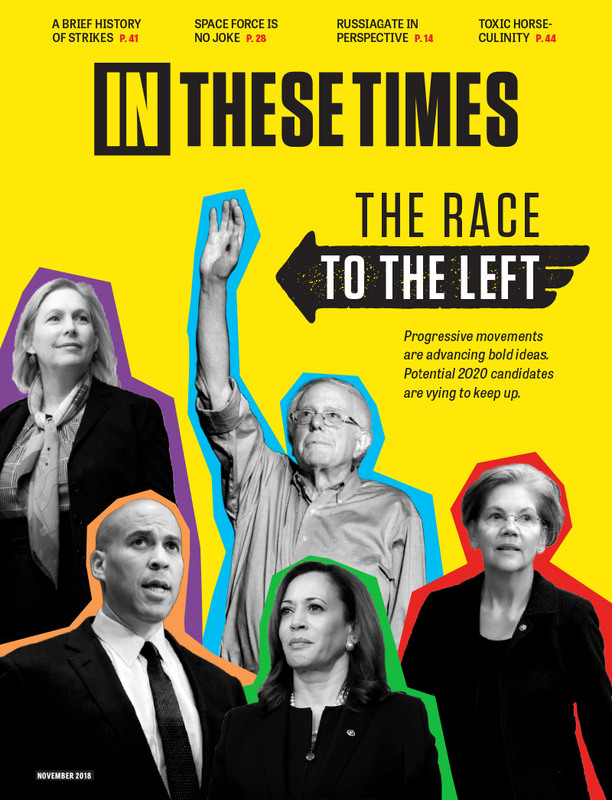 What follows is a brief summary and direct quotes found in the Nov. 2015 contribution that appears in the New Left Review, by the British Marxist scholar, Perry Anderson. He observes dramatic loss of popularity in Gaza for Hamas, noting that corruption and repression there is nearly the same as in the West Bank under Fatah. He observes the widespread ignorance regarding Oslo--"Contrary to popular belief [ regarding settlements], nothing in the Oslo Accords prohibited them..." He distills his analysis: "It is difficult to think of any national movement that has suffered from such ruinous leadership." That Rashid Khalidi (Brokers of Deceit" 2013) has called for the dissolution of the PA is well known, but not to the american liberal. Also well known is that Arafat banned Edward Said's writings altogether. "Under Abbas the PA has twice ranked below all Arab states regarding freedom of press..." and on the one state solution: "its practicality is zero--neither Jews not Palestinians have the slightest wish for it...."
"By the new century, the payroll of the PA had risen to over 140,000 or whom some 60,000 composed its security empire.12 competing repressive apparatuses...this bloated security complex, in which torture is ROUTINE absorbs a third of the budget, costing more than expenditures on education and health combined. It's sights are trained not on the occupiers, for which it is no match, but on its compatriots." The Israeli state has opportunistically taken advantage of Palestinian failure to replace a despicable leadership--one despised and mistrusted by ordinary Palestinians, but has no room to maneuver except to impotently throw tantrums and rocks....and certainly the USA is culpable--the CIA trains Fatah security forces. However, the blame and stupidity observed regarding this long standing dispute, among american liberals must be seen for what it is--a reflection of a decaying, racist, anti-intellectual society. Moosehan, it always amazes me just how shameless Arabs are. You guys are the world's greatest imperialists and you accuse your victims of colonialism. I applaud your utter lack of self awareness. But your efforts will come to nothing. The Jewish people have returned to our land and we will never surrender to your genocidal imperialism. But keep up the takiyyah, You will have enough useful idiots to listen to you for now. Nice try Barak. A freshly trained hasbara troll, using lies and myth fabrications to defend the oppressive, genocidal Israeli apartheid state. You are students, young people with your minds open to new sensations, new information, new questions, a galaxy of differing opinions, learning how to weigh and balance your own assumptions and those of others. You have access to the most amazing technologies and sources of information – resources that simply did not exist earlier. In order to access all this, you require freedom of speech, a world without censorship, a free press, the right to protest, and to question received opinion. If your government in Scotland or the UK banned books, imprisoned journalists, censored films, or prohibited campus meetings, you would be rightly outraged. You would march to defend those freedoms were there a threat to take them away. You depend on free libraries, uncensored newspapers and journals, and direct access to the Internet. None of those freedoms exists in any Muslim country. Not in Egypt, not in Jordan, not in Saudi Arabia, not in Iran, not in Pakistan. Censorship is rife, secular views are everywhere condemned. Freethinking bloggers such as Raif Badawi in Saudi Arabia, several in Bangladesh, and many in Iran have been imprisoned, sentenced (in Badawi’s case) to lashes, or (in Bangladesh) assassinated. The majority of newspapers in these countries are state-owned. Books are banned and burned across the region. Television stations are closed down for the pettiest of reasons, as happened recently in Egypt to MP Tawfiq Okasha. There is no freedom of speech in Gaza or under the Palestinian Authority, and those who breach the rules are, as often as not, found with a bullet in their head. Israel has as much freedom of speech as the UK, France, Germany, Denmark, the United States, Canada, Australia or any other Western democracy. The only restrictions on the press are those relating to national security – as in all democracies. Anti-Israel NGOs operate freely in Israel, anti-Israel articles appear daily in the press, notably in the left-wing newspaperHaaretz. Arab politicians speak against Israeli policy daily in parliament or in interviews with the press. When arrests are made, Jewish extremists are as likely to be charged as Arabs. Israel is, in every respect, a free society. Yet you choose to condemn it. By doing so, you condemn the very freedoms you yourselves benefit from in your ivory towers in Scotland. And when you support the Palestinians exclusively, you offer support to censorship and state control of expression. You need to think about this carefully, because otherwise you reveal yourselves to be hypocrites of the first order. Let me take this one step further. Are you aware that your motion is anti-Semitic? I want you to think about this carefully, too. What, you may ask, does boycotting Israel have to do with hating Jews? You are, I do not doubt, fiercely anti-racist, and for that I strongly commend you. Racism is still an ugly feature of modern life, not only in the West, but across a swath of other countries. It is ironic in the extreme, therefore, that your boycott motion was presented by the BME [Black and Minority Ethnic] Liberation Group. Ironic, because anti-Semitism has been and remains one of the most poisonous and genocidal forms of racist hatred. Across Europe, anti-Semitism is growing to levels reminiscent to that of the 1930s. The 2015 figure for anti-Semitic incidents was 53% higher than for 2014. Jews are leaving Europe and taking refuge elsewhere, most of them in Israel. Denying the fact, scope, mechanisms (e.g. gas chambers) or intentionality of the genocide of the Jewish people at the hands of National Socialist Germany and its supporters and accomplices during World War II (the Holocaust). Accusing the Jews as a people, or Israel as a state, of inventing or exaggerating the Holocaust. A typical pro-Zonist immorally sowing discord and spreading Islamophobia., and subjective mis-informative propaganda attempting to delegitimize the basic human rights of the Palestinian people and justify decades of illegal occupation, warcrimes and crimes against humanity. Defending the Zionist state despite its transgressions of international laws and violations of human rights. Protecting an oppressive apartheid regime at all costs is plain hypocrisy. Interesting that the article subjects find common cause with a Palestinian Arab 'nation' that declares that Islam is its basis, that its 'future state' would be Judenrein, that prosecute homosexuals, that throws opponents from rooftops, that discriminate against Christians, that incite its citizens to murder civilians, and that pay pensions to murderers and their families (payed by American and EU taxpayers).